Location: Aberdeen & Northern Marts, Thainstone Centre, Inverurie, Scotland, AB51 5XZ. All animals entered for the Sale will be appraised, out of the pens, by a Society appointed Appraiser. Vendors will be required, as a condition of entry for the sale, to display the completed appraisal on the animal's pen. Entries will only be permitted of halter led animals. Entries close Friday 14th July 2006. Transfer fee payable of £10.00 by Vendor and £10.00 by Buyer for each animal transferred. Location: Brackenhurst, Nr. Southwell, Nottinghamshire. Location: Chelford Agricultural Centre, Chelford, Macclesfield, Cheshire SK11 9AX. Auctioneers: Marshall Auctioneers and Valuers. The sale includes offererings from Nicky Luckett, H. B. & J. A. Ball and A. & L. M. Jones. Click here for Marshall Auctioneers & Valuers website, select "Auctions" then click "Livestock" then choose "Catalogues" then click "19th Annual Show & Sale of Rare & Traditional Breeds - Pig & Cattle Entries", scroll down past Pigs, Dexters and Red Polls to view Longhorn lots. 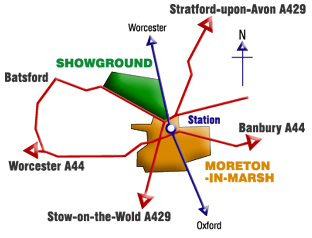 Directions and a Map of how to find Chelford Agricultural Centre can be found by clicking "Location" at the top of Marshall's website.